Since moving to Michigan, J and I have wanted to take a trip to the U.P. I was up there once…for about two hours for work and she drove through the U.P. when her family did the circle tour when she was growing up, but neither of us have really spent any time exploring the U.P. and their unique food options. Luckily for me, I don’t have to go all the way up across the Mackinaw Bridge. I just have to go to Allegan. I got sent to Allegan for work tonight and as I was leaving the shop, I planned my route so it would take me in to Allegan via M-89 from the east. The U.P. 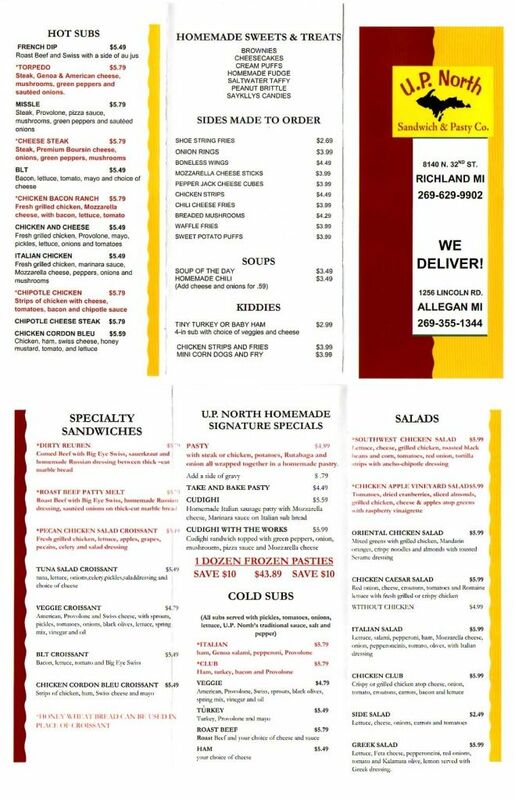 North Sandwich & Pasty Co. is on Lincoln Road (also known as M-89) on the southeast side of town. It’s a small white building with red trim and a yellow sign out front. 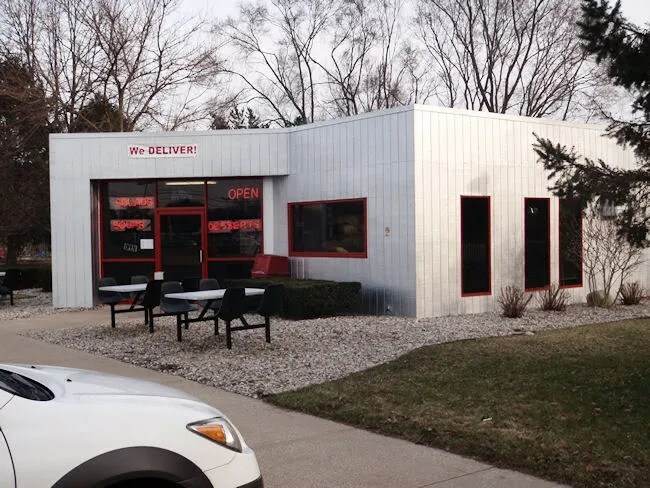 J and I have driven through Allegan a few times on our way to Fennville…including last night when we went to dinner at Salt of the Earth, but we’ve never really stopped anywhere to eat. I had seen this building before and it did pique my interest. I was just looking for an excuse to go to Allegan to try it out. I stopped in during dinner time on a Thursday night. There were a few people already in line in front of me looking over the paper menus that are available on the counter. Not sure what this place was before, but it has kind of a 50’s dinner feel. The counter is a mixture of tile and glass block and there’s not a whole lot of space. There are less than a dozen tables in the small area and the order counter and display case take up a good chunk of the room. The specialties of U.P. 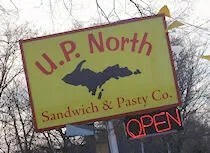 North are culinary treasures from the Upper Peninsula. The Pasty is the dish they advertise, but they also have the Cudighi sandwich which is what I was after. 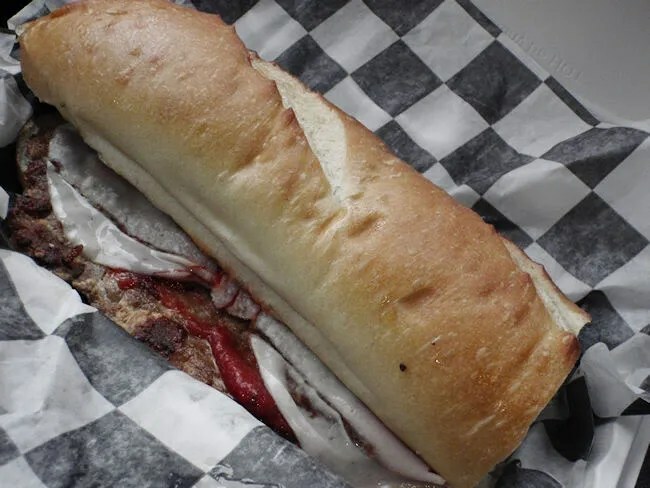 When it was my turn to order, I just walked up to the counter and pointed at the sandwich on the menu. I actually had no idea how to say it and didn’t want to sound stupid. The lady taking the order figured out what I was doing and pronounced it coo-dig-he. Ah, now I know. They serve the sandwich two ways. One is just a plain sandwich. Just the homemade Italian sausage patty, Mozzarella cheese, and marinara sauce on Italian sub bread. The second way is the works. It’s the same sandwich but with green peppers, onions, and mushrooms added on. I went with the plain Cudighi and an order of fries. The bill was a little over seven bucks with no drink. I paid cash, but they do have a credit card machine. I was told it would be about five minutes so I took a seat and checked my email. About five minutes later, I was handed a bag with two to-go containers and I headed on my way back to Grand Rapids. I broke in to the box with the fries right away because I knew they would be easy enough to eat while driving. There was a pretty large order of shoestring fries that were pretty heavily salted. I didn’t get a pop at the restaurant and I really needed to. I ended up stopping at the Marathon just outside of Martin because the saltiness really needed something to wash it down. 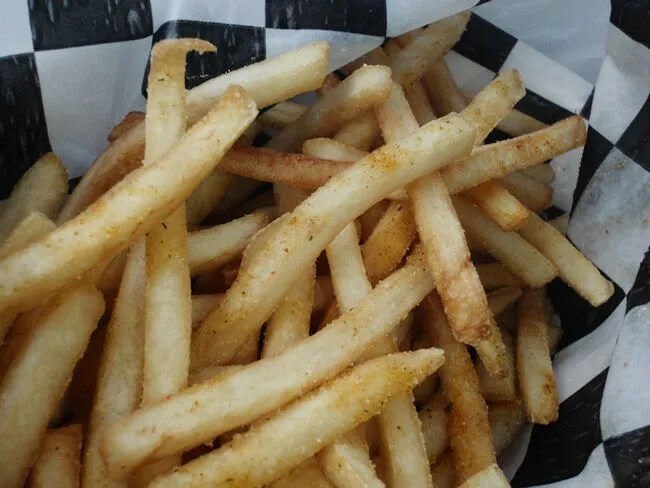 The fries were good and very crispy…and there was a lot of them, so I’m not complaining. I couldn’t decide what I wanted to do with the sandwich. Of course, I couldn’t wait to dig in, but I needed to get back to Grand Rapids. After finishing off the fries, I decided to go for it. I mean, how messy could it be? Turns out, a little messier than I thought. The sandwich was delicious. The Italian sausage patty was just a little bit spicy and had a great flavor. The Mozzarella covered the whole top of the patty and was melted perfectly on top. The marinara sauce was a good compliment to the meat, but didn’t have a whole lot of flavor on it’s own. 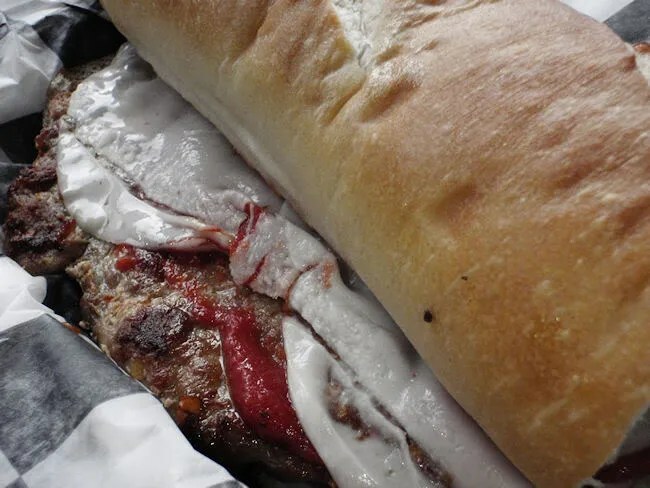 There was a hefty supply of sauce on the sandwich and it seems like every bite I took, I ended up with a glob of sauce on my face. I must have looked stupid…good thing I was alone in the car. The sandwich was so good I didn’t want to take the time to clean up because that means I would have had to put it down. My first experience with a Cudighi was a success. It’s my only experience so I do have to say I’m not an expert, but it’s a sandwich I will definitely be ordering again. Whether it’s in Allegan or Marquette, I really don’t care. I’m happy that I finally got to sink my teeth into this regional specialty. Their pasties are fantastic. After I had lunch there a few weeks ago, I ordered 4 frozen ones to take home with me. Make sure you get the gravy with them though, it really makes the meal. I’ve always been curious and there’s a place in Portage that sells them frozen. Not sure if it sounds like something I would like, but I should still make a point to try one someday. And I almost forgot, the Trenary Toast is one of those odd little gems from the UP that I was thrilled to find there as well. Perfect compliment to your morning cup of coffee. The pasty’s are great! There is another place called Appleknocker’s in Vicksburg that has pastys on the menu. Wondering if you are hiring?? They are also in Richland on N. 32nd St.